Instagram, today's most powerful and popular platform that is growing in day to day life, is bringing many updates and features in different platforms. The company is focusing on bringing the instagram on desktop but during this they faced the difficult part when it came to view the stories on desktop or web page. Instagram now owned by facebook division will allow users to view instagram on web pages and desktop and there will be right and left button to view stories.This feature was not available till now but now instagram stories have became a important part of instagram as around 250 million people use this feature daily to see what their friends are doing at that moment.Now instagram is excited to bring instagram stories on web and they will check the response. 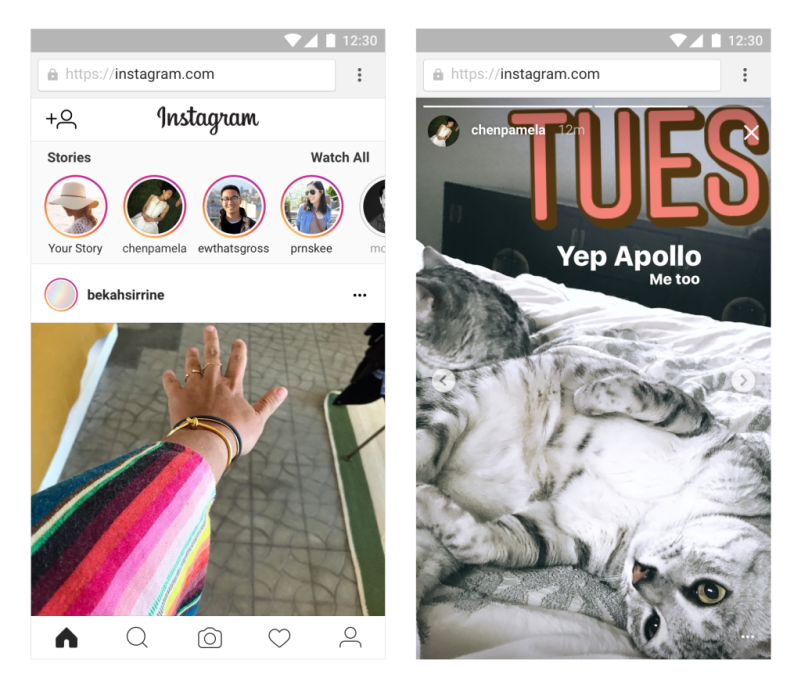 This feature will come in coming weeks and after some more months Instagram will allow the user to post stories though mobile web or desktop.